east side bride: Pants Week continues! I totally considered rocking a jumpsuit down the aisle. If I'd seen that lace one before I bought my dress, it just might have happened too. In my head that lace jumpsuit is what every one of your readers is cool enough to wear all the time, but actually did wear to the wedding. I think it wins as best wedding attire suggestion you've ever made (especially considering the request)! Sigh. 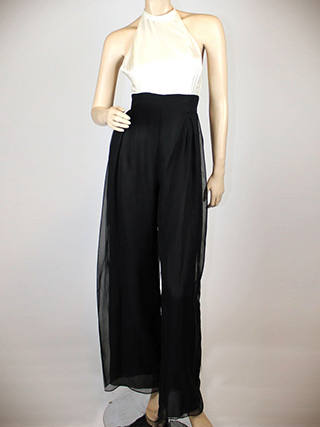 I'm simply to short to work a pair of palazzo pants, but I love it when statuesque women wear them. So I've been on the fence about all this fancy-pants bizniz, until now. #3? So much love. #5 is stunning! I love 70's style. I asked my aunt what she wore when she was married. I've seen everyone's wedding photos in my family, but I don't recall seeing my very stylish aunt's pictures. She said it was no big deal because it was at city hall. (What? Its always a big deal!) I of course still wanted to know what she wore. She said a bell bottom pantsuit. She's so cool. what should pasty Minnesotans do in LA? okay, who needs a WEDDING CLOAK? what is it about blondes in WHITE PANTS? 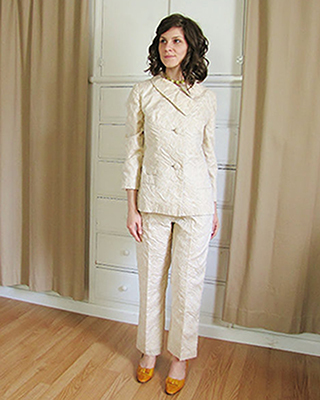 How can I make a pantsuit wedding-worthy? All right, Ellen, you win. welcome to PANTS WEEK on esb! Should I dye my wedding dress?? Help! 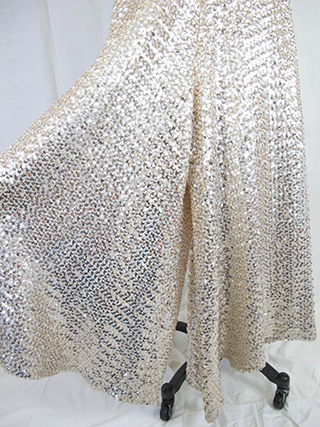 Sparkly wedding blazer dilemma! What would a gent from the 20's wear? Somebody pls get married at the ZOO...! Dear ESB: What should my MOM wear? Am I supposed to send a GIFT?! What should my officiant wear? ?